Do you need to attend an important business meeting in MeetToMatch, have a job interview in Geek Careers or have a panel to attend at GIC, while you have no option to do that because you need to take care of your little ones? We do our best to offer a solution to this problem, providing professional daycare during GIC. The daycare room will be available from Friday to Sunday. It’s going to be located in GIC’s Pavilion 15 on Floor 3 in the spacious Moon Room. The daycare will be easily accessed from Enterance B of Pavilion 15. This option is available for GIC Developer or Business pass holders. 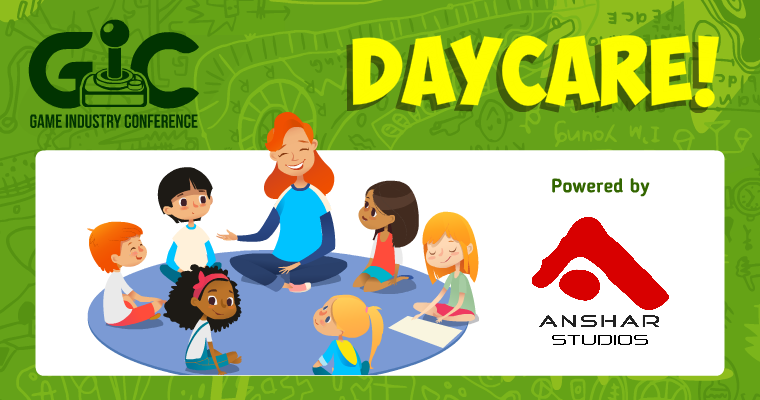 More Information about the daycare below. GIC’s daycare service will be run by Wymyslnik Agaty Heyman. The company has multiple years’ experience in providing children care at business events. Their professional carers will keep your kids entertained, while making sure they’re safe, when you’re busy attending the GIC. And they speak English too! The daycare room will feature the rest area as well as a large play area, divided into a few sections. There will also be a snack corner providing basic foods and drinks: water, juices, fruit and non-flavoured corn puffs. Located conveniently next to the daycare room, there are bathrooms and toilets, fitted with baby changing tables. Upon arrival, parents will be handed a care form to be filled with some basic info: your child’s name and age, allergy notes and your telephone contact number). The allowed time of stay at the daycare is six hours. Our service is intended for children from 3 to 15 years of age. To make most of this option please email contact@gic.gd before the show or contact the GIC desk. 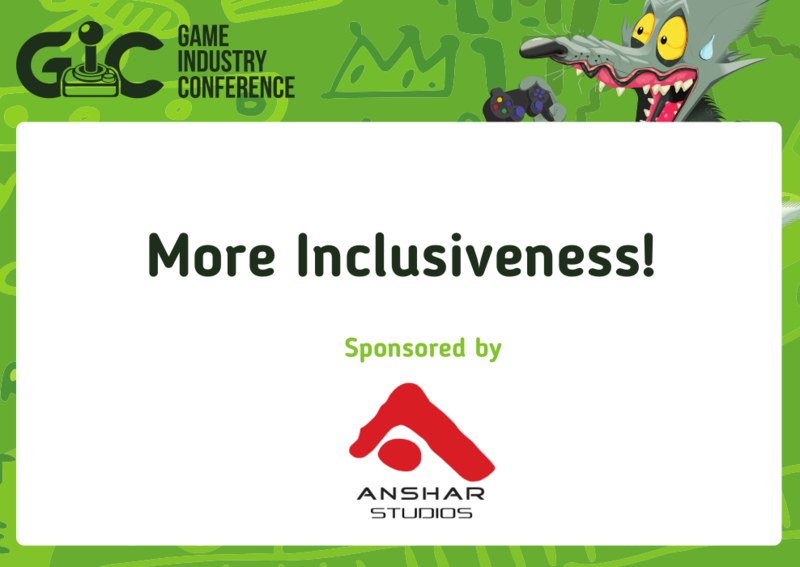 Inclusiveness is one of the main ideas we have in mind when we are doing GIC!